Location and casting scouts looking for animals for film in France? Casting directors - look no further when casting animals for your production. Filming in France or Europe? Over the years we have featured in TV and film throughout the world, France 3 regularly feature our work, as well as the ABC network in Australia, and various channels across Europe. We are located in the beautiful Midi Pyrenees, surrounded by a diverse scenery from vineyards to mountains and glacial rivers, and with a vast array of animals to work with, we can meet your production needs. Please note safety and welfare of our animals is paramount. Looking for camels on set, llamas trained to paint, alpacas to show jump, sheep to do agility, goats to open doors, pigs to sniff out a certain cheese or just to play drums, or simply poker playing geese? These are just some of the awesome remits we have had over the last 10 years. 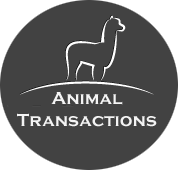 Animals onsite include; Bactrian camels, llamas, alpacas, Pot bellied pigs, Tamworth pigs, Sheep, Ouessant sheep, Miniature goats, Geese, Chickens, Dogs, Cats, Donkeys, Angora rabbits, guniea pigs. With over 10 years of film and training experience we understand and have vast experience of the complexities of filming, camera angles, time schedules and budgets. What's more we have a European film director and production team who can be on hand if required. Our next TV appearance will be on October 13th 11am - our work will be featured on national TV on Direct 8. For our international visitors, as soon as this is publicly available on youtube, we'll pop it up! For people who get the chance to watch it live - please let us know what you think!